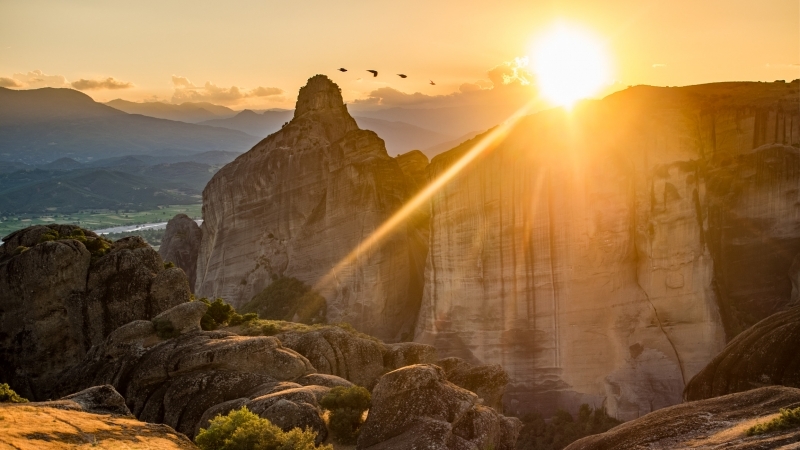 Behind the cliffs of Meteora, the sun is setting. The monasteries are closed again, monks and nuns went back to their life and buses with tourists have lef again. Only hotspots for watching the sunset are still crowded. And some birds are flying back to their nest. 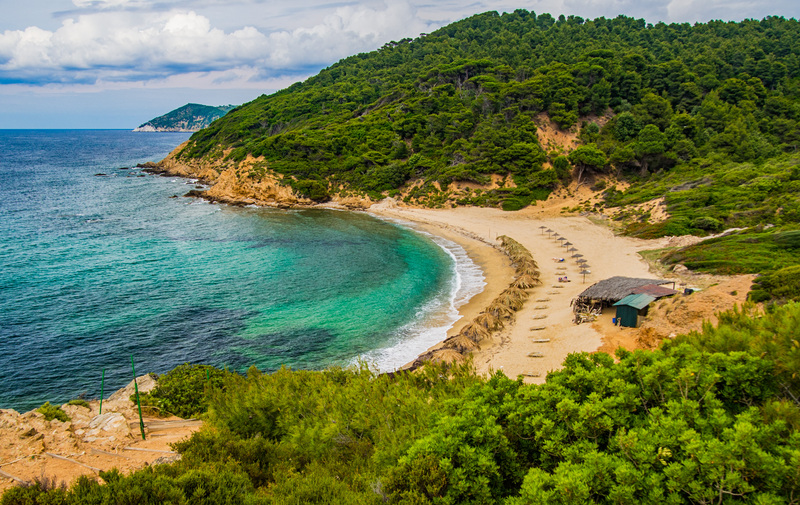 This beach, Agkistros Mandraki Beach, is a very beautiful, sandy beach on the island of Skiathos. It is about 1500m from the paved road. There is a bus stop (number 21, “Mandraki) and from there you can walk through the forest. At this beach there is a nice tavern, so everything is available for a nice day at the beach. 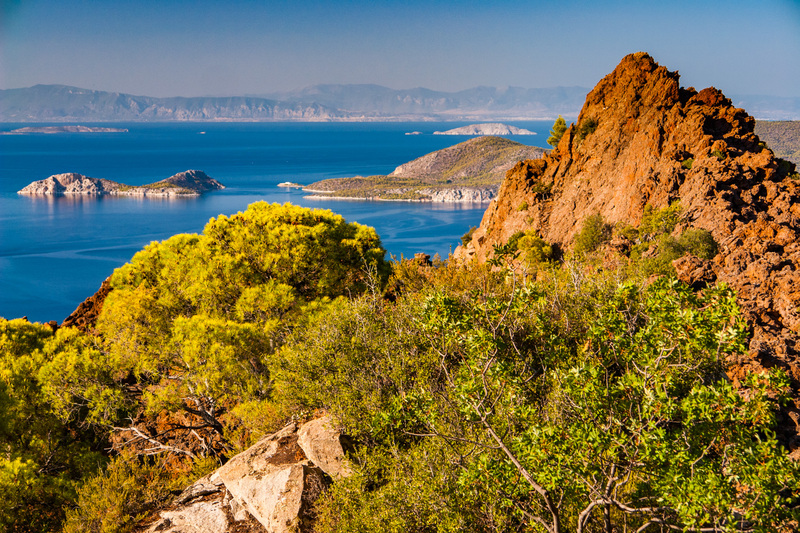 This picture was taken from the peak of the volcano near Kameni Chora on Methana, a peninsula connected with the Peloponnese. From this point you have a great view over the island Aegina until Piraeus, the harbour of Athens. 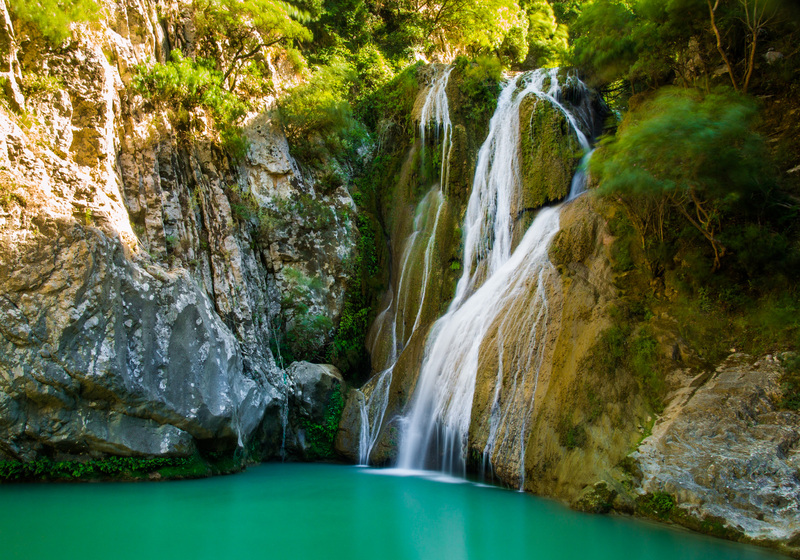 In the northern part of Evia (Eboea), the second largest island of Greece, this beautiful waterfall can be found. It is called after the village Drymona in the neighbourhood and it is set in a very beautiful nature area. 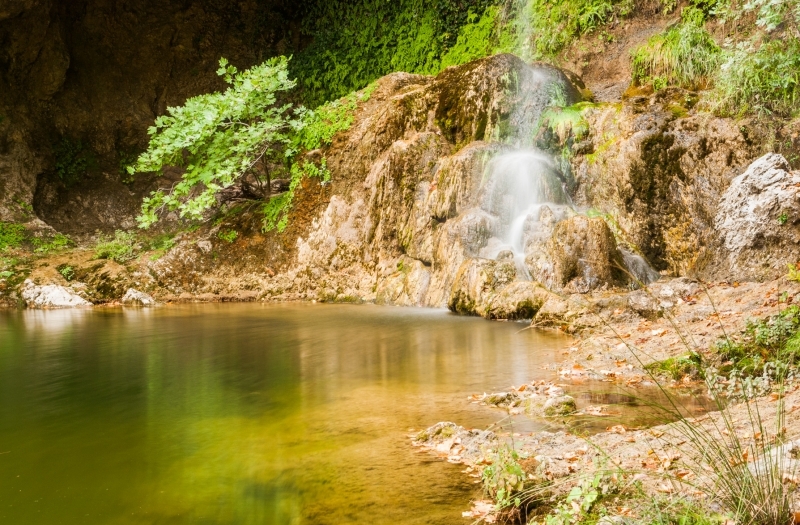 A good hiking path makes it easy for visitors to get to this waterfall. At the time of our visit (october), the creek didnt have much water, so the waterfall must be much more impressing at the end of winter, when water levels are much higher. Agia Triada is a monastery at Meteora, Greece. 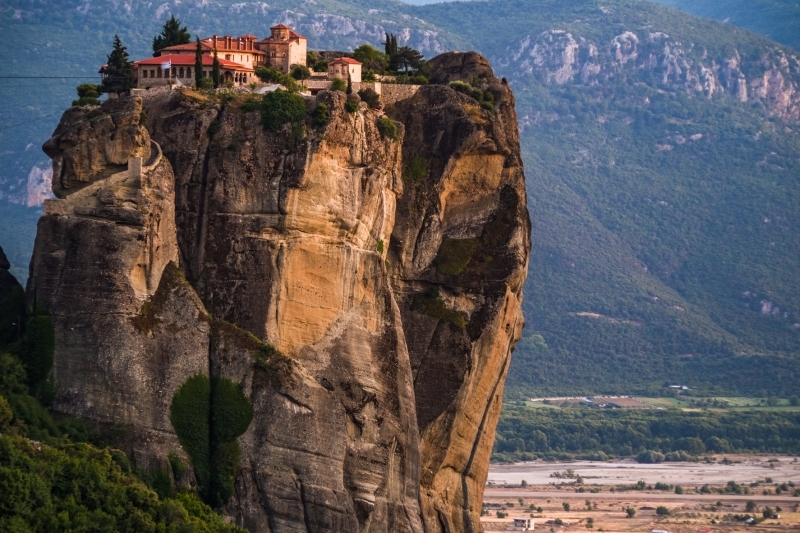 This monastery was built on a Meteora-rock with a very interesting shape. A beautiful hiking path is situated near the mountain village Ano Milia. This path is called “Path of Love” (Greek: “Μονοπάτι Αγάπης”). This picture shows a miniature waterfall near this path. 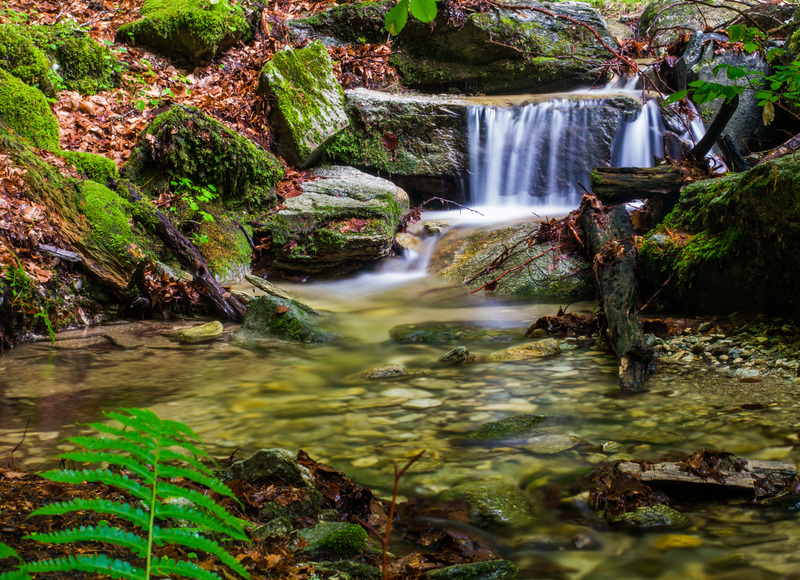 This beautiful waterfall is situated in the nature reserve of Polilimnio. Translated ‘Polilimnio’ means ‘many lakes’. The creek overcomes a considerable altitude difference. The lakes of Polilimnio have water of good quality, so it is nice (but cold) to swim here. Very beautiful is the emerald green colour of the water. You should watch out for the snakes however, because there are some venomous snakes too at Polilimnio. But as they are very shy, you should not worry too much and enjoy the swim. The shortest hike might take up to one hour (without breaks for taking pictures), but use good shoes as there are two substantial ascents. If you want to hike the whole distance, it will take about two hours and if you’re planning to swim or have a picnic you should calculate about three to four hours. In the village Charavgi near Polilimnio there are some taverns with a great view over the valley and its nature. At the northern part of Skiathos you can find Kastro. A hike to this place is very beautiful. 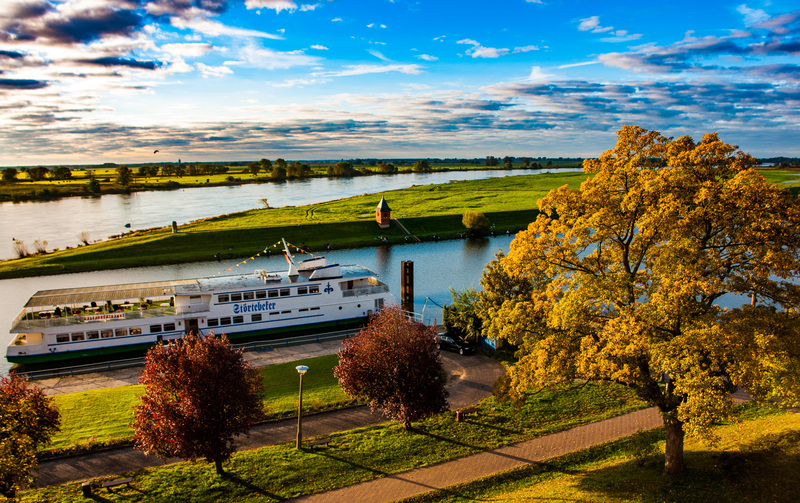 The view is great and nature has a lot to offer. This picture shows the view from the mountains behind Kardamili over the town itself and Ritsa Beach. After that the landmass blocks the view on Kalamata. The land below the clouds at the other side of the water belongs to the coastline around Koroni.